This pack? It's a Feral Heart wolf pack. This is the forum! I'm the pack leader, Silver. I operate the pack and keep it in order. I created the pack out of pure random. You just Roleplay, Talk, and Have Fun! 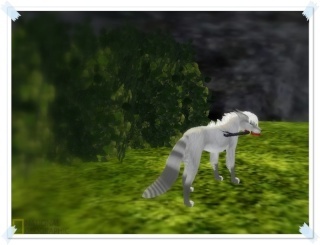 Feral Heart is a game where you can be a canine or feline. Wolf Quest's servers can only hold up to 5 players and Feral Heart servers can hold from 100 - 200 players. Big difference?